Find the perfect gift for the Porsche enthusiast in your life and save 10% Off our entire inventory of Porsche apparel in the month of April! From Hats and T-Shirts to Cuff Links, Jackets, and Polo shirts – it’s all 10% OFF ! Offer available on in-stock inventory only. Offer not applicable to prior purchases, and cannot be combined with other offers. See Porsche of Ann Arbor for complete details. High-end speaker created from the twin exhaust module of a Porsche 911 GT3. Features top-quality materials such as the aluminium casing. Bluetooth® 4.0 and apt-X technology for wireless audio streaming from smartphones, tablets and PCs in CD quality. Offer not applicable to prior purchases, and cannot be combined with other offers. 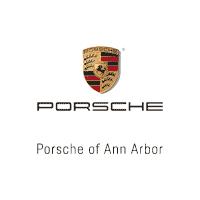 See Porsche of Ann Arbor for complete details. Porsche Classic presents the new Radio Navigation System for Classic Porsche models. Available for all Classic models with DIN1 slot, from the 911 F to the 911 (Type 993), as well as for four and eight-cylinder vehicles, excluding the 356. The device fits seamlessly in the dashboard, with two different knob designs to suit vintage vehicle designs. The operating logic itself is based on the current Porsche Communication Management (PCM) and its user-friendliness is evident when using the 3.5-inch touchscreen. FM and AM radio reception was enhanced through factory-fitted antennas and the country-specific navigation has been tested through test drives in both Canada and the USA. The output of 4×45 watts delivers full sound however the original factory-fitted sound system with amplifier can also be installed directly or through an adapter lead – available for order with part number 91164220901. The system features iPhone, iPod, USB and AUX interfaces, allowing you to control external music sources from the display. Bluetooth functionality means that you can make calls directly from your vehicle.